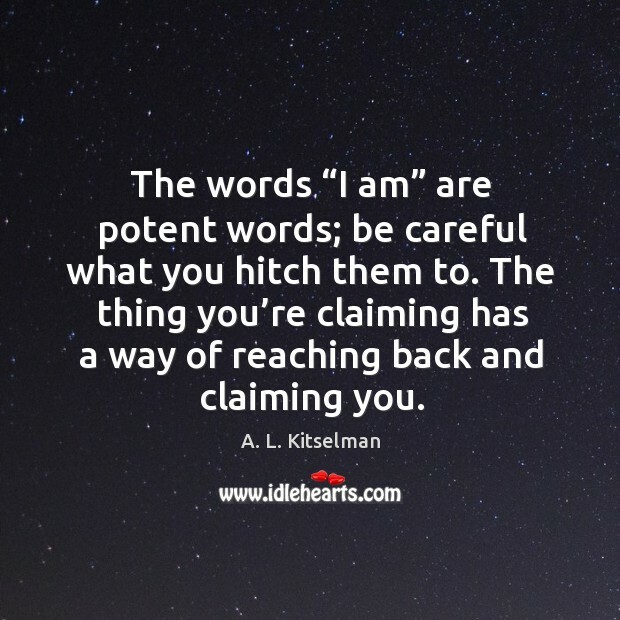 Enjoy the best inspirational, motivational, positive, funny and famous quotes by A. L. Kitselman. Use words and picture quotations to push forward and inspire you keep going in life! 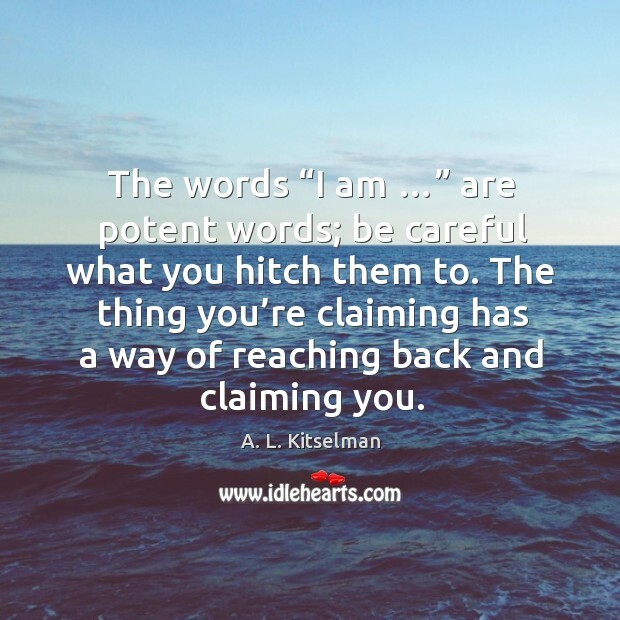 The words “I am …” are potent words; be careful what you hitch them to. The thing you’re claiming has a way of reaching back and claiming you.